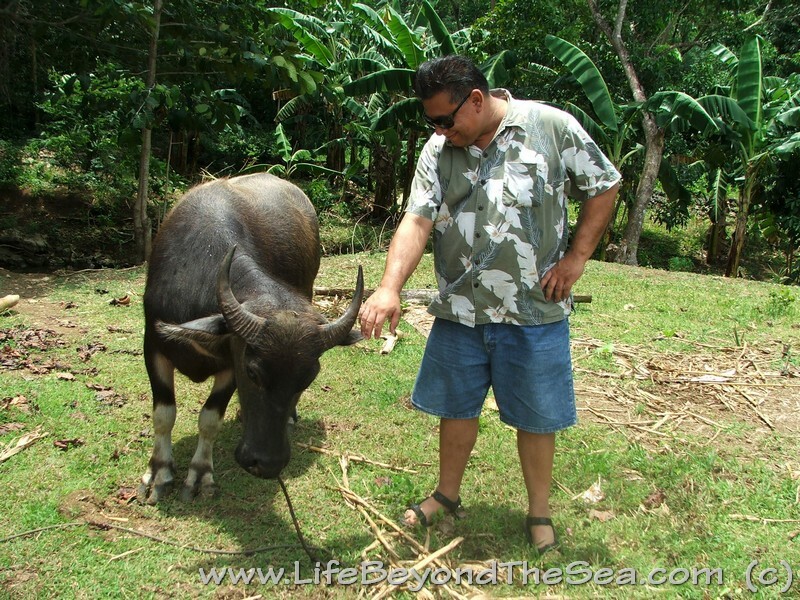 I'm pretty sure this type of Moo-Cow is called a 'Carabao'. Very gentle creatures.. they just kinda eat, walk slowly and.. eat. Nope.. not really sure why he's there, other than to make babies and maybe sell the calves when they get big. Some people use them for plowing. This one just kinda acts like a mascot. Sounds like me! Tee, hee!